Rated R for violence and a substantial amount of strong language. Won for Best Supporting Actor-Kevin Spacey; Best Screenplay. In 1995, Kevin Spacey enjoyed what ball players would call a "career year." He began with Outbreak in the spring. While his performance in this film wasn't too memorable, the picture itself provided terrific entertainment and thrills and it remains director Wolfgang Petersen's most effective effort. Later in the year came Spacey's frightening turn as serial killer John Doe in Se7en. His role was small but crucial; Spacey's Doe lived up to the reputation the character had built during the majority of the film when he remained unseen. 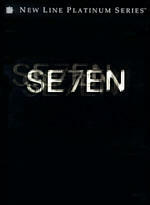 Financially and critically, Se7en also enjoyed tremendous success; I feel it's the best movie of the 1990s. Finally, Spacey received even more acclaim for his terrific role as criminal/apparent patsy Verbal Kint in The Usual Suspects. While I clearly prefer Se7en, Spacey's work in The Usual Suspects provided him with a much fuller range to play, and he acquitted himself remarkably well. In an extremely strong cast, he stood out and took home the Best Supporting Actor Academy Award. Of course, The Usual Suspects wasn't a one-man show; it offered many other compelling elements. While I've always been a cheapskate, that frugal tendency was well served by a strong complement of bargain "last run" movie theaters in my area by during the first half of the 1990s. I saw many, many films, but few of them came during their original theatrical runs. As such, I usually knew quite a bit about the movies I saw since they'd been out for a while. Once the local dollar theater went under in mid-1996, I started to attend many more first run pictures. I also tried to avoid hearing reviews prior to screenings of films I knew I wanted to see - you should witness the pains I'm going through to avoid any info about Attack of the Clones - but that wasn't the case when I saw The Usual Suspects in late 1995. I had read the reviews about it that alerted potential viewers that The Usual Suspects was a demanding picture. According to these critics, you darned might need to take notes during that sucker if you wanted to follow it. Once I saw the movie, I deemed these notices to be overstatements, but maybe the fact that I knew the film was complex changed the experience for me. Had I gone in blind, I may have attended less strongly to the plot twists and I might have gotten a little lost. Whatever the case, The Usual Suspects clearly rewarded the attentive viewer more than was frequently the case. Surprisingly, it also survives repeated viewings quite well. Films like this provide much of their excitement and intrigue from plot surprises, so they often become somewhat dull when watched again. That doesn't really happen here. Of course, some of the impact dissipates just because the film lacks surprise, but the movie actually gains some from the fact that the viewer can better attend to details missed the first time around. I've now watched The Usual Suspects seven or eight times over the years, and I still really enjoy it. While credit certainly is due to Bryan Singer's crisp and succinct direction and Christopher McQuarrie's sharp and clever Academy Award winning script, the actors remain ultimate reason why The Usual Suspects continues to please even after many viewings. Spacey deserved all the accolades that came his way, but unfortunately, his status has somewhat eclipsed that of the rest of the cast, most of whom provided performances virtually on a par with his. Best of the remaining cast remains Benicio Del Toro's bizarre and hilarious turn as mush-mouth criminal Fenster. Del Toro doesn't provide as real and full a character as did Spacey, but Fenster remains the most memorable and consistently entertaining aspect of the film. 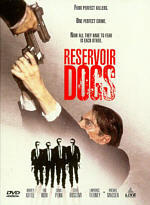 Gabriel Byrne, as apparently conflicted crook Keaton, comes closest to having a lead role in this ensemble piece. I'm not a huge fan of Byrne's work, but he effectively portrays the various impulses and emotions of Keaton quite well; his performance largely grounds the piece. Stephen Baldwin (who I usually like) and Kevin Pollak (who I usually don't like) also provide invigorating performances in their somewhat one-note roles as the final two suspects. Chazz Palminteri and Giancarlo Esposito offer good work in their largely expository parts as law enforcement officials, and Pete Postlethwaite gives a typically quiet but compelling turn as somewhat mysterious agent. Really, the only acting that left me cold came from Suzy Amis as Keaton's love interest/lawyer. Maybe it's just because I don't much care for her in general, maybe it's because it's hard for a woman to stand out in a "man's movie," but I thought she came across as weak and uninteresting. Thankfully, her role doesn't ask her to do much and she in no way negates the bold impact of the film as a whole. Were it not for Se7en, I’d call The Usual Suspects the best movie of 1995. As it stands, the film must settle for second place. But it’s a strong second, as Suspects offers a consistently intelligent, complex, and riveting piece of work. The Usual Suspects appears in an aspect ratio of approximately 2.35:1 and in a fullscreen version on this DVD-14; the letterboxed image has been enhanced for 16X9 televisions. Only the widescreen edition was viewed for this article. This new transfer replaces the old non-anamorphic one, and it improved upon that one in virtually every way. Sharpness seemed excellent. At no point did I discern any significant softness or fuzziness. The picture remained crisp and well defined at all times. Jagged edges and moiré effects caused no concerns, and though I saw a smidgen of edge enhancement at times, that problem remained exceedingly minor. Print flaws were also very modest. I detected a few specks and some light grain appeared during a few interiors, but these caused no real concerns. Colors looked nicely bright and vivid throughout the film. They always seemed clear and appropriately saturated. Overall, the hues were nicely vibrant and concise. Black levels came across as deep and rich, while shadow detail looked clean and logically opaque. As a whole, The Usual Suspects provided a terrific visual experience. In addition to the new anamorphic image, the special edition of The Usual Suspects also boasted audio that differed from the original DVD. The Dolby Digital 5.1 track on the new disc corrected an oddity from the old one. Suspects featured a 5.1 mix theatrically, which made the Dolby Surround 2.0 audio of the prior DVD seem very odd. Happily, the new release finally provided the movie’s original audio, though to be honest, I didn’t detect many significant differences between the two. Suspects was a very chatty film, and the soundfield remained oriented toward the forward spectrum. In that realm, music showed very good stereo spread and presence, while effects also demonstrated solid breadth and movement at times. During a lot of the film, those elements largely remained in the center, but at times, the mix came more to life and offered clean panning and a nicely blended track. Surround usage tended to remain within the dimension of general reinforcement. The music worked especially well in that regard, as the rear speakers neatly enhanced the score. Effects also worked nicely in some scenes, especially those that involved gunfire or explosions. However, I didn’t think the soundstage spread out any better for the 5.1 track. I detected virtually no stereo surround usage, and the soundfield seemed very similar to what I heard in the old 2.0 track. However, the 5.1 mix did offer moderately improved audio quality, mostly due to cleaner bass response. The old track provided deep low-end, but it seemed too loud and boomy. The 5.1 version came across as cooler but more accurate in that regard. Bass seemed fine when appropriate, and those elements lacked to thickness I heard on the old mix. Speech seemed warm and natural through the movie, and I discerned no edginess or problems related to intelligibility. Effects appeared clean and accurate, and they boasted good bass response when appropriate; elements like foghorns or explosions offered solid oomph. Music worked best of all, as the score seemed clear and bright, and it also featured nice depth and dynamic range. Overall, the mix for The Usual Suspects lacked the sonic ambition to merit an “A”-level grade, but it still earned a solid “B+”. While the original DVD of The Usual Suspects included a couple of extras, the new one provides all of those as well as some terrific new pieces. The most significant repeater is an absolutely terrific audio commentary from director Bryan Singer and writer Christopher McQuarrie. Both men were recorded together for this running, screen-specific track. Apparently these guys have been friends for quite some time, a fact that comes through in the natural and easy manner they have with each other. It's a wonderfully loose and lively track as these guys crack on their film and each other while they provide a great deal of information about the production. This commentary is almost as entertaining as the film itself, which is no mean feat. By the way, the overlapping comments at the end of the track have confused many people and made them wonder if they got a defective disc. Nope - it’s supposed to be that way. 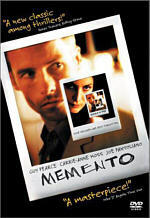 The production echoes the movie’s conclusion. It’s a funny and clever touch that ends this solid piece appropriately. In addition, we get a new commentary from editor/composer John Ottman, who also provides a running, screen-specific track. Frankly, I expected little from this piece; the Singer/McQuarrie commentary is so good that I thought there wasn’t much left to say unless we heard from the actors. I was wrong, for Ottman offers a solid track on his own. He’s almost as chatty solo as the other pair were together; Ottman provides a great deal of information during his discussion. Ottman touches on the challenges inherent in both sides of his particular coin. He tells us more about the editing area, but he includes a wealth of notes about his scoring too. The track suffers from a few moderate empty spots, but Ottman talks so fast the rest of the time that I can forgive these. It’s another entertaining and winning commentary that definitely merits a listen. Taken separately or together, these are very interesting programs. “Pursuing” focuses on the development of the film, the casting, and the atmosphere on the set, while “Time” concentrates more on various anecdotes from the shoot. The mood is surprisingly frank and blunt. Sure, there’s some of the usual praise, but the participants seemed honest and up front with their thoughts, and a vast number of interesting facts emerge. The actors’ side of things is particularly valuable, especially since we already heard from Singer and Ottman elsewhere. They still chime in with some good new material - plus a smidgen of redundant info - but the actors add the lion’s share of the useful details. The footage from the set is minor, but some of it is quite fun, like outtakes of Del Toro mangling his lines. All in all, these programs offer a fine overview of the film and also give us some great insight. In a similar vein comes Keyser Soze - Lie or Legend? This 18-minute and 35-second program uses a format identical to the prior two featurettes, as it also incorporates the same eight interview subjects. Of course, the focus falls upon the mysterious Mr. Soze, and we learn a lot of little tidbits about that legend. Most of it is good, but the best aspects relate to Spacey’s acting notes. The producers of the featurettes probably should have simply used this material within the other two programs; there’s no real reason for it to stand alone. Nonetheless, “Soze” is another entertaining piece. Much less compelling is the Original Featurette from 1995. This six-minute and 40-second program is nothing more than a glorified trailer. It includes some sound bites from Singer, Palminteri, Baldwin, Spacey, Byrne, Pollak, Del Toro, and an unnamed person I think was a producer. These snippets offer little more than vague character and story notes, while most of the piece just gives us clips from the movie. Skip it. A little more interesting is Heisting Cannes with the Usual Suspects. This four-minute and 14-second featurette offers a few modern interview bits from Singer, Pollak and Spacey, but it mostly consists of fun footage from their trip to the famed film festival. There’s nothing amazing here, but it’s an entertaining piece. And the hits continue with a section of Deleted Scenes. Hosted by John Ottman, we get five clips. Including Ottman’s statements, each lasts between 65 seconds and three minutes, 11 seconds for a total of nine minutes, 23 seconds. All in all, Ottman’s bits fill five minutes and 16 seconds of that time. As such, it becomes apparent the scenes themselves are brief, and they don’t offer much to stand out from the crowd. They’re minor and largely forgettable. Still, as a big fan of the film, I’ve very happy to see them, and Ottman’s comments add good information about them. Next we find a Gag Reel. This seven minute and 10 second piece starts with a 45-second intro from Bryan Singer. It’s mostly the standard collection of flubbed lines, but some other interesting bits emerge along the way. But that’s not all! Suspects provides two Easter eggs. From the main menu on side “B”, click up to highlight the film’s title. Hit “enter” and you’ll have to play a game. You need to select a few of Verbal’s bulletin board inspirations in the correct order. Do so, and you find two extra features. The more significant is a John Ottman Interview With Film Historian. Here we find a 17-minute and 42-second discussion conducted by Film Score Monthly’s Jeff Bond. Ottman talks mainly about his career in general, without too much emphasis on Suspects. It’s an interesting chat that I enjoyed. Even more fun is the three-minute compilation of Interview Outtakes. I won’t spill the beans about what the various participants say, but it’s amusing stuff and worth the effort to find. 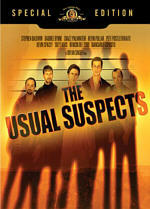 So does the special edition of The Usual Suspects omit anything found on the original DVD? Yup. The old disc included some brief biographies of Singer, McQuarrie, and seven of the actors plus some previews of other DVDs. None of these are missed, especially since they’re replaced by so much good material. The Usual Suspects remains a terrific film. Mysteries/thrillers don’t get much better than this, as the flick fires on all cylinders. Crisply written, briskly directed, and wonderfully acted, there’s little about which I can complain, and God knows I love to complain! Similar kudos fall upon MGM’s fantastic new special edition DVD. The disc offers excellent picture quality with solid sound and some seriously compelling extras. When I address reissues, usually I have to separate my recommendations into the two camps: those who own the old one and those who don’t. Often those recommendations differ, but not here. If you possess no copy of The Usual Suspects, buy the new special edition. If you have the old version, buy the new special edition. It upgrades the original in every possible way and is a wonderful package.